Ongoing deal, never expires. Last validated 9mo ago . Celeste Martinez I am validating that this deal works as described. 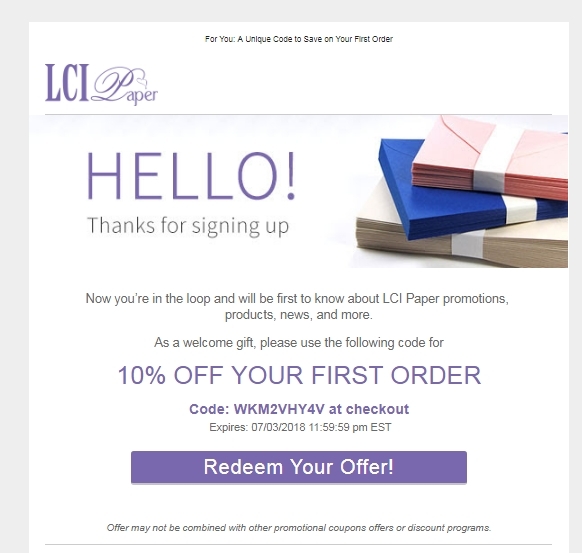 Just apply the coupon code and Get 10% Off Your First Order at LCI Paper.